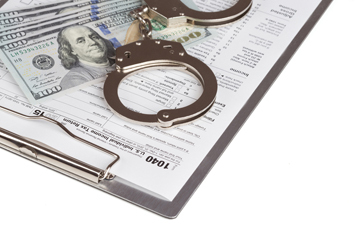 TORONTO, March 23, 2018 – For the benefit of Canadian taxpayers, accountants and otherwise, we present the latest convictions for tax fraud and evasion, as reported by the Canada Revenue Agency. We begin with convictions in the case of another “tax protestor” group. As Canadian Accountant has reported in the past (“Third Canadian convicted in extremist anti-tax conspiracy scheme”), governments on both side of the border have pursued people who counsel citizens to commit fraud in the name of anti-tax or anti-government philosophies. The CRA announced this week that Debbie Arlene Anderson of Chilliwack, British Columbia, was sentenced in the Supreme Court of British Columbia to four and a half years in jail and fines totaling $35,026.71. Ms. Anderson was convicted and sentenced in relation to charges of income tax evasion, goods and services tax (GST) evasion, and counselling fraud. A CRA investigation determined that Ms. Anderson failed to report total income of $165,731.45 for the 2005 to 2007 tax years and, as a result, evaded $22,689.90 in federal income tax payable. In addition, Ms. Anderson failed to collect and remit $12,336.81 in GST for the 2005 to 2007 tax years. Ms. Anderson was an “educator” with the Paradigm Education Group (Paradigm), a fraudulent scheme that counselled people across Canada to evade taxes. Paradigm sold products (books, DVDs, and CDs), organized and taught fee-based seminars, which “educated” people on how to structure their affairs in a way to illegally avoid taxes. The preceding information was obtained from the court records. Paradigm taught its followers that if they declared themselves “natural persons,” they don’t have to pay income tax. Its founder, Russell Porisky, was sentenced in July 2016 to five-and-a-half years in jail, according to a CRA press release. Porisky’s videos can still be seen on YouTube. The CRA has also announced that Kevin Ekow Plange of Toronto, Ontario, was sentenced on March 20, 2018 to 18 months in jail and to two years of probation. On September 27, 2017, Plange pleaded guilty in the Superior Court of Justice in Toronto to one count of fraud over $5,000 under the Criminal Code. A CRA investigation revealed that between August 7, 2013 and July 28, 2014, Plange prepared and submitted to the CRA 28 fraudulent direct deposit forms, to change the direct deposit information for the accounts of 12 corporations. Plange falsified these direct deposit forms to direct GST/HST refunds and other payments properly payable to the corporations into bank accounts held by him with various Canadian banks. As a result, Plange redirected $41,831,073 into bank accounts he controlled. Ultimately, with the exception of $15,000, the CRA recovered the funds. All case-specific information above was obtained from the court records. The CRA publicizes convictions in cases of tax evasion to maintain confidence in the integrity of Canada’s self-assessment tax system.